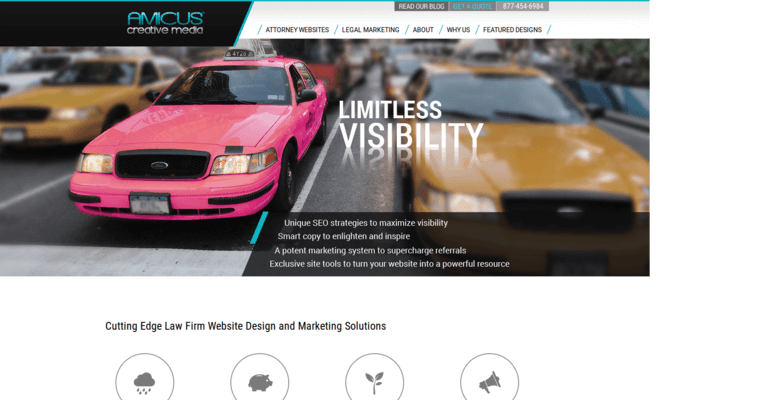 If you have a law firm or other legal company, you need a site design optimized for search engines that is going to stand out. This makes it easier than ever for people to find you on the internet and this is why you need to consider Amicus Creative Media for yourself. 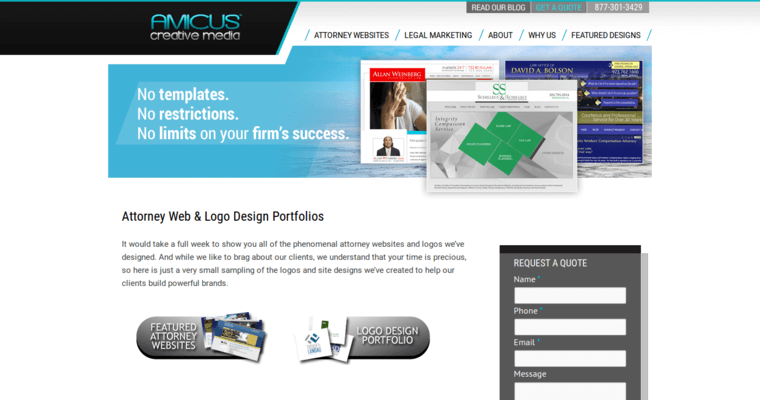 The reason Amicus Creative Media is there to meet your needs is easy to see because of the amount of work they have done for companies all over the country. They have been working with law firms since their inception and specialize in this option. 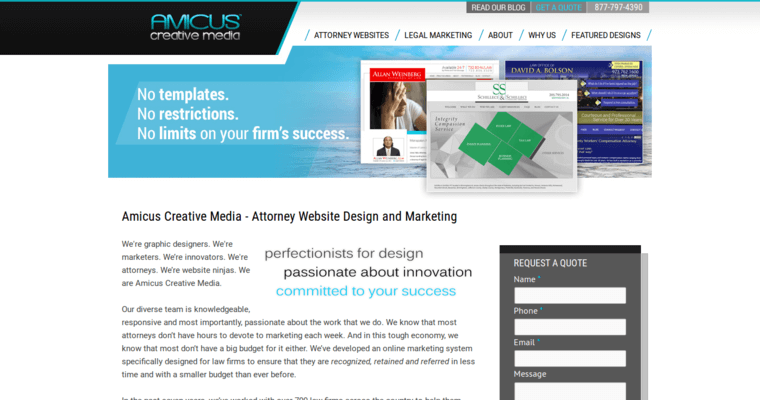 You can contact Amicus Creative Media if you would like to make use of their services and see why they are such a vital option for you. Now is the time to think about this company and to see why they are such a wonderful option for you and the site that you run.